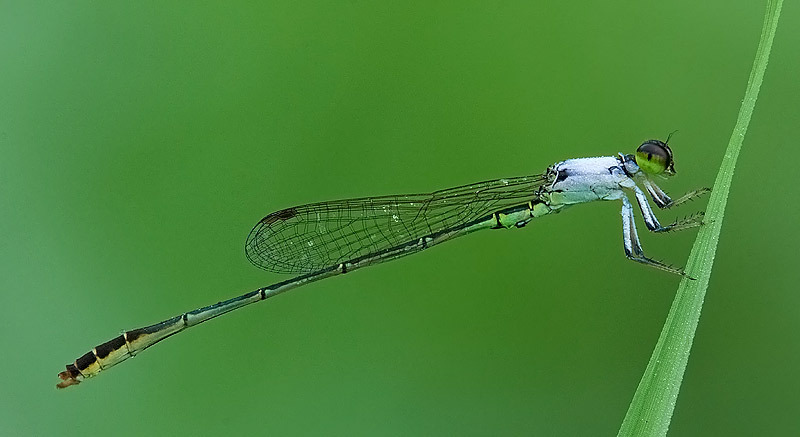 A relatively small-sized species commonly found in ponds. 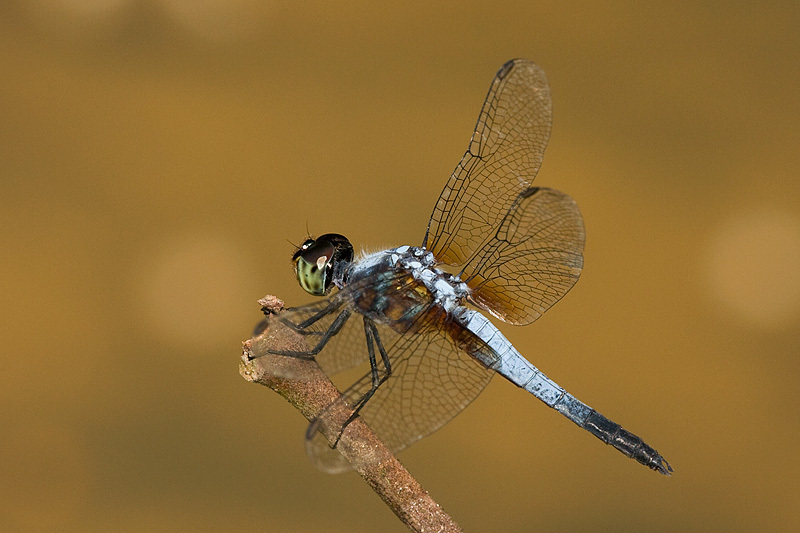 Males are blue in colour with dark patches while females are brown in colour. Female is less common than male. I have seen the female only once. By the way, I have initially thought that this is a Aethriamanta Gracilis. Both look very similar although B. Chalybea is slightly bigger in size. 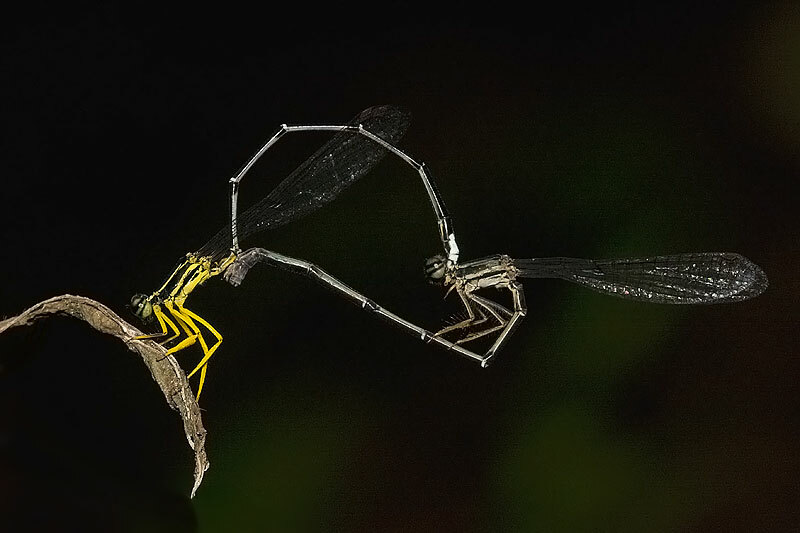 This is classified as a common species but not many of us have seen or phogographed it in Singapore. 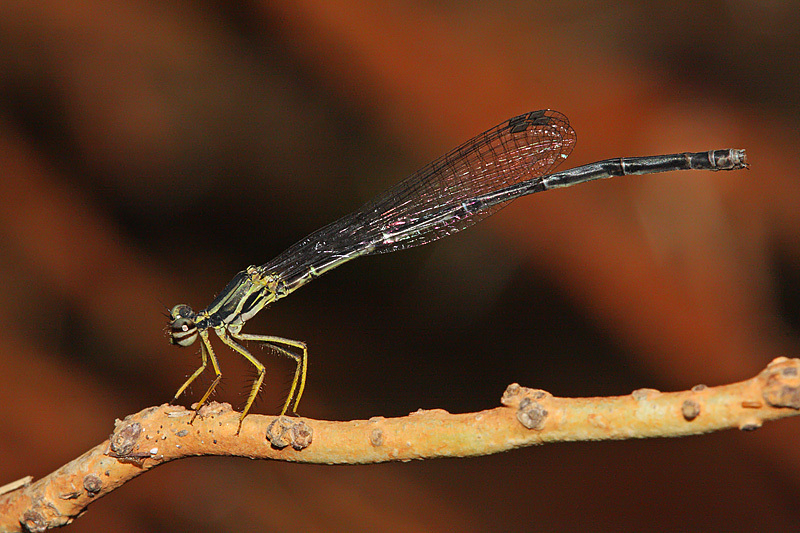 The male has beautiful yellowish thorax, a black obdomen with white marking on it. The male was first spotted at a stream near Venus Drive but I did not manage to get any shot as it was difficult to approach. Two males were seen perching in a drain near Segar Road few week later. I managed to get some record shots but was still unable to get closer to it. I finally captured a better shot when I found the male again at a stream along Chestnut Avenue Bicycle Trail. This time, the female which has an overall black thorax and obdomen was also found nearby. When I revisited the place again 2 day later, a juvenile was found. It has a unique overall white in colour. 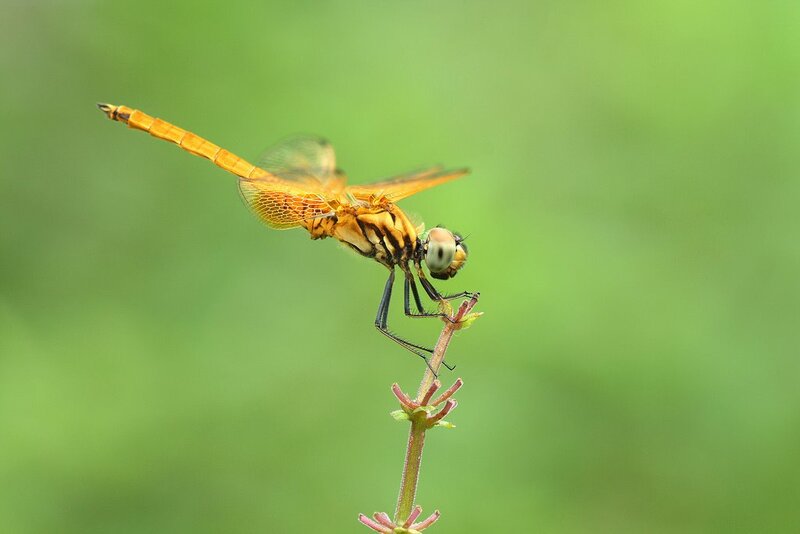 My recent sighting of this species where the juvenile, male, female as well as 2 mating pairs were spotted at a small muddy stream at Jurong Woods II on 21 Aug 2010. Location : Singapore Botanical Gardens, Segar Road, Dairy Farm Nature Park, Holland Woods, etc. 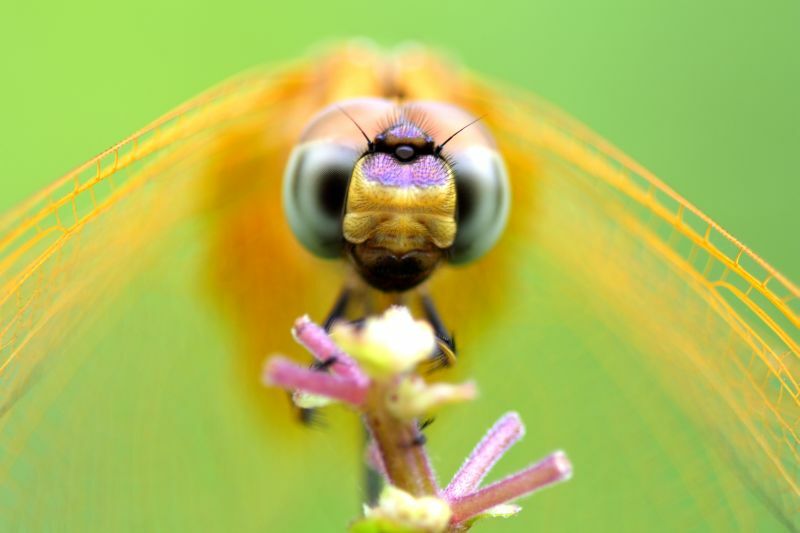 This Dawn Dropwing species is one of the most common dragonflies than can be found near ponds, open streams and lakes. They are very attractive looking and easily noticeable. 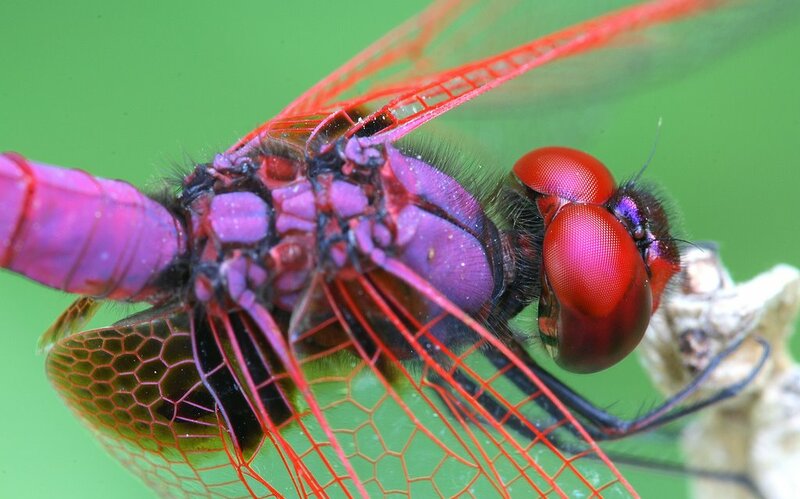 The female has bright orange colour while the male is deep pink in colour. They are very quite easy to approach and usually not a problem to get some close-up shots. 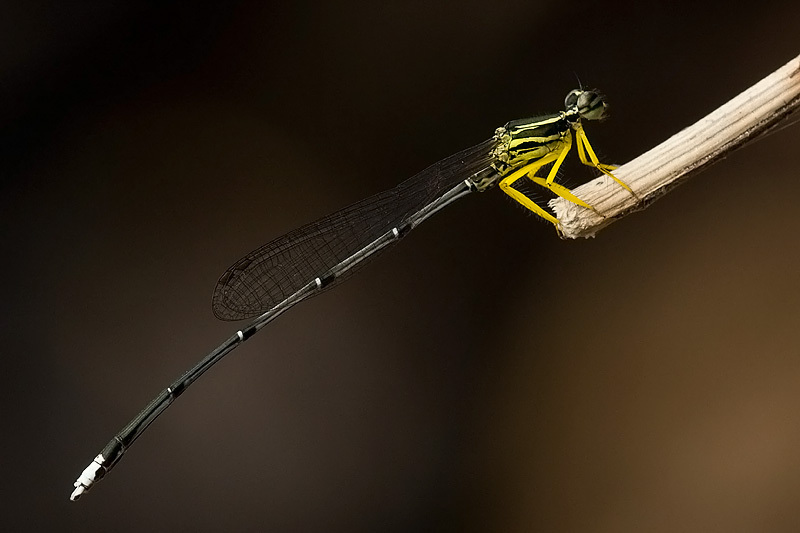 This is a tiny damselfly about 22mm in size. 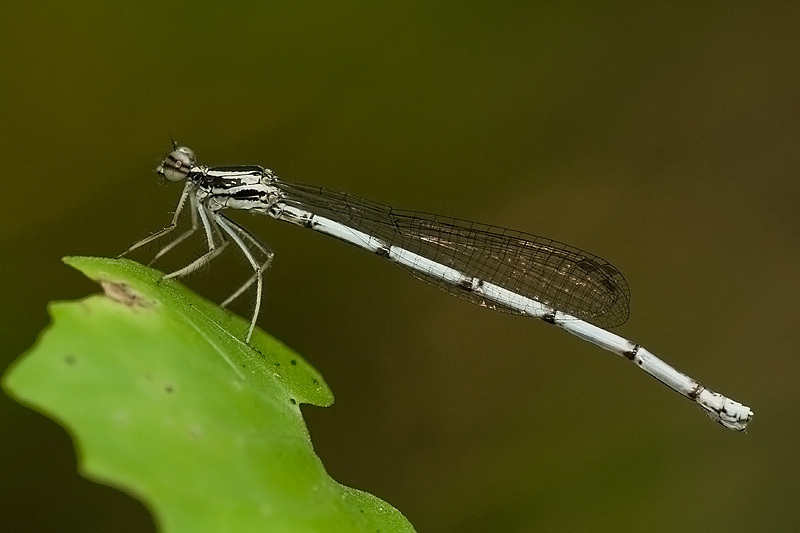 It is the smallest damselfly species that I have seen in Singapore, so far. A confusing species because of colour changes with maturity. 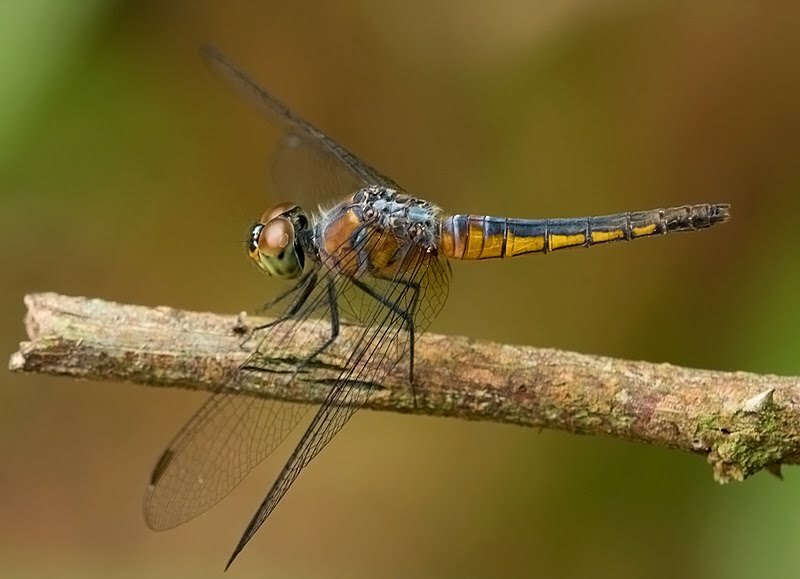 The immature male is green and orange but on maturity it becomes dark with heavy pruinescence on the head and synthorax. 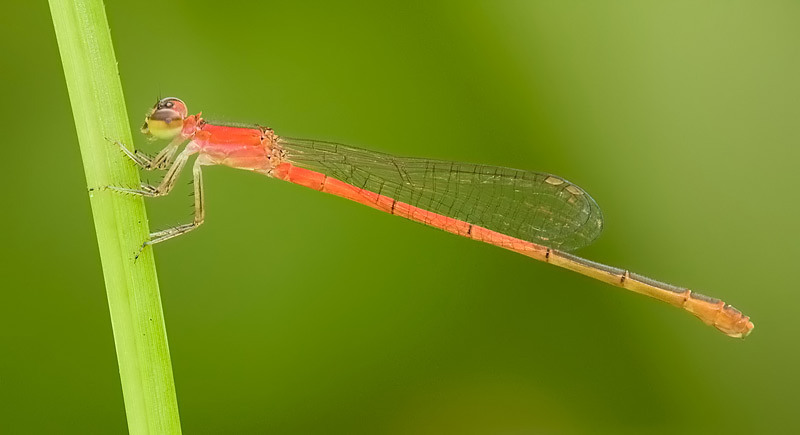 Females is red in colour. This species usually perch lowly on grass and it was quite difficult getting a parallel shot. Also, they are not easy to get close. 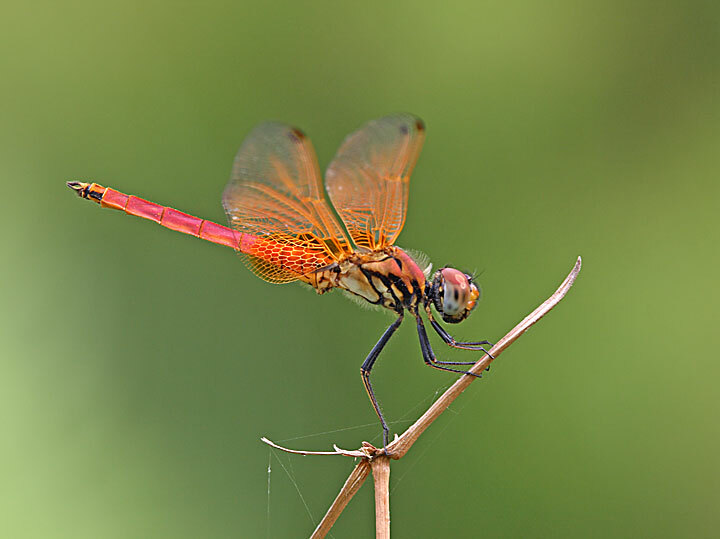 The best time to photograph them is early in the morning when they are less active. 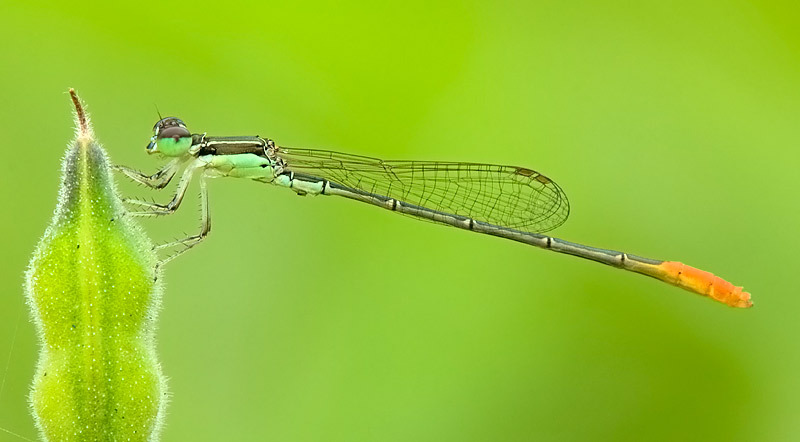 Afternote: The smallest damselfly is A. Nano which was spotted at Lornie Trail on 15 Sep 2010. A very young female A. Femina (see below) was also sighted on this day.